The average salary for a physician assistant in the United States is around $94,508 per year. This is 119% above the national average. ● Updated in 2017. Physician assistants earn an average yearly salary of $94,508. Wages typically start from $70,182 and go up to $217,271. How much does a physician assistant make in the United States? 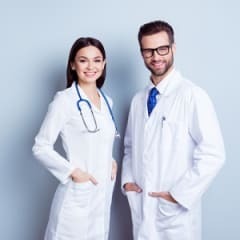 How do physician assistant salaries compare to similar careers? Physician assistants earn 8% more than similar careers in the United States. On average, they make less than prosthodontists but more than pharmacists.